storm jib. 4.5 johnson ob recently reconditioned. 8' beam 3-5' draft. In good condition, needs some minor wiring to hook up anchor light. porta potty, pop up cabin top w cover, solar charging panel, upgraded wiring in 2009, sleeps 4.
to 100 miles Pittsburgh Pa. 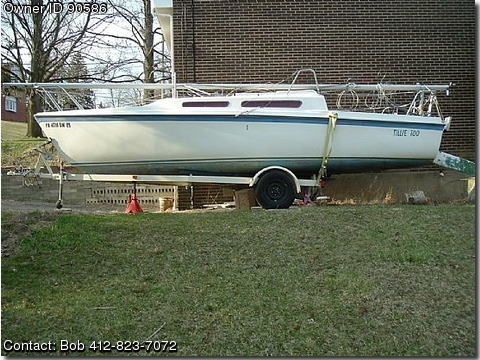 Call boat owner Bob at 412-327-2297.